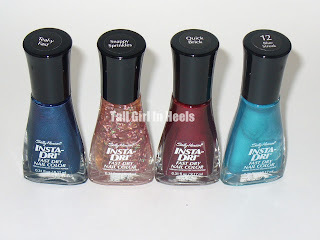 Enter to Win 2 of these lovely Sally Hansen Insta-Dri polishes. There will be two winners! The first winner get to choose which two they would like and the second winner gets the two left over. 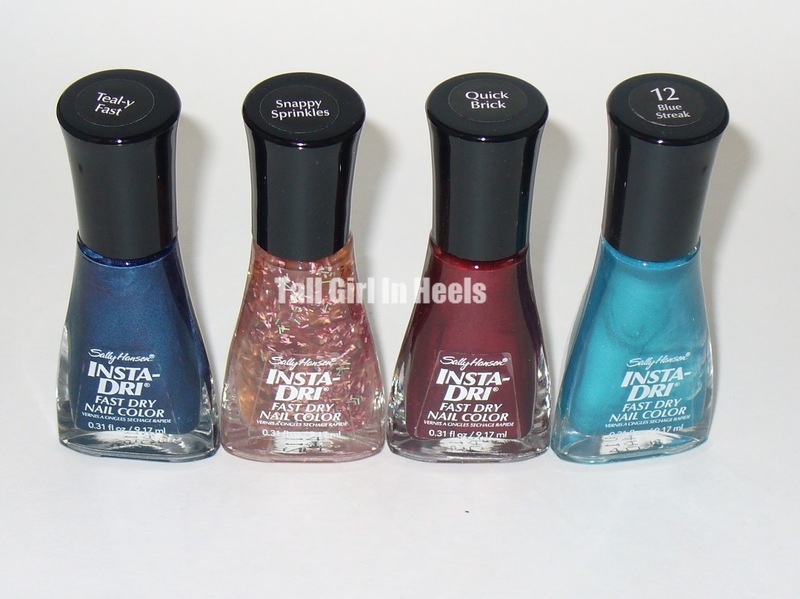 The colors from left to right are Teal-y Fast, Snappy Sprinkles, Quick Brick and Blue Streak. If there are any questions please email me at Tallgirlinheels@gmail.com.